Charles Dickens once said, Spring is that time of the year when the sun feels like summer, and shade feels like winter – all at once. I mean, who wouldn’t love that cozy warmth the sun brings after all those chilly days and long nights, except, of course, the west coast where winter is tolerable? And when all that snow is thawing, finally paving the way for the bloom of beautiful flowers and the lush greenery everywhere, you’d just want to welcome the spring with open arms. So, when you are letting in the warmth of your heart and soul, don’t you think it’s time to dust off the cobwebs in your house and prep it up for the new season? Worry not! 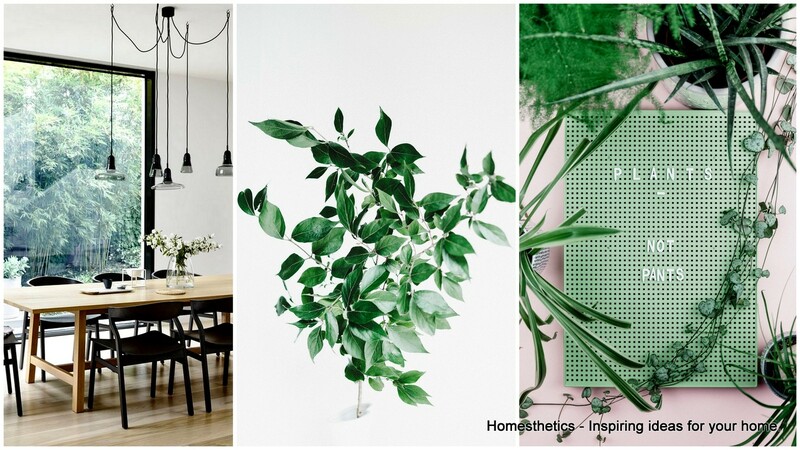 I am here with 19 amazing yet simple ideas that would amp up your home for the upcoming spring! Here we go! Why to just let all the furniture stay at a single place all the time – they aren’t nailed to the ground or anything, right? So, just work with the placement of the couches, sofa, coffee table and other furniture around your house. And to pep it up a bit, just put in some fresh flowers in a vase and place them on the center table, or on one of the corners of the house. This gives it a completely fresh look without even having to buy new furniture altogether. So, you hit two birds with one shot – giving your home a makeover and saving big bucks! There might be some, if not a lot of repairs to do in your house, as things tend to break all the time, especially if there are little kids around. And winter might not be the best of times to repair it, given the cold weather which makes you lazy. So, once the season is up, it’s time to crawl out of your couch and finish these repairs that have been pending for a while now. Just take a pen and paper, and jot down all the things that need to be fixed – be it floorboards, fence, AC units, or just the squeaky doors. Don’t let them stay as they are; pick up those tools and work on them so that you can relax in the beautiful spring weather without any worries. Often, when we take up the job of cleaning our houses, we tend to forget the windows. And when you look at it, you can notice tiny stains, nose prints or those cute little paw prints if you happened to have a pet. Why leave it behind, just put some gloves on, get some Windex, and some paper towels and wipe the windows clean. And since, it’s going to be spring; it doesn’t hurt to open them up and let some fresh air, and warm sun in! If you have a garage at your place, it’s an unstated fact that you just throw everything in there during winters, to avoid staying in the chilly outdoors. Now that the season has gone, it’s time to pick those things up and place them where they belong. Also, just throw away the ones that you don’t think you’d be needing anymore and stock up the garage with gardening supplies, as you would need them more often than before. And don’t worry about the time, you’d just be needing one afternoon to get the garage back in place. Since the outdoors are cold during winters, the patio furniture would be affected severely. It would end up developing a thick coat of debris, and if there’s a lot of snow, the dampness will ruin the wood. So, make sure your patio furniture is clean again by power washing them or cleaning them as you could be spending a lot of time outdoors during the Spring. If you’re into gardening, then you’d surely be excited about spring – I mean, it’s the season of bloom and bewitching colors. And I am sure you would be thinking of all these flowers growing again and rich green foliage around the yard, which makes your place much more beautiful. While you’re at it, why don’t you try something different? Planting something other than regular flowers? Try growing seasonal fruits, vegetables or herbs in your yard, and make it functional in addition to adding beauty to your place. If your house happens to be around a lot of trees, then there’s a high chance that your gutter is cluttered with pine needles and other random leaves, which must have accumulated over the winter. And if spring brings along some showers, which it can during the April month, it is likely that the whole thing could be blocked. So, this is the right time to take out that ladder of yours and work on cleaning the gutters. In case you can’t do this on your own, it’s always better to get ahold of a professional. That should be your mantra before spring arrives. Winter sure does get a lot of clutter into your house, and there’s no way that you can clean everything regularly in all that cold. So, once the season is phasing out, pick a day and maybe rent a heavy-use vacuum cleaner to clean your home. And while you’re at it, don’t forget to sparkle the driveway as well as the deck. This gives your whole house a great face-lift. Also, try washing your cars, who’s there to stop, huh? It is strongly advised to change the batteries of the detectors (Both smoke and carbon monoxide) in the house to ensure that all the safety measures are up to the mark. Since you’re cleaning up everything at home for the spring, why not take care of this, too? I mean, you could just replace the batteries for once and forget until next spring, and also, who knows, this might save your life some day. Let the glowing warmth of the sun reflect in your house by cleaning it until it sparkles. This includes deep cleaning of your kitchen as well as the washrooms in the house. Dust the cabinets, take out your appliances and clean them before putting them back in place. As for the washrooms, clean the sink, commode, and the taps thoroughly. Also, work your way through to the blinds. Because a house is not truly clean until every thing is shiny – be it powder rooms or countertops. Why leave the places which store your food throughout the year? Since the cleaning of the house is in full swing, take an hour or two to look into your fridge and pantry too. Throw out the expired products, clean the racks and make a list of the things you would need for the upcoming season. Also, when you are rearranging the leftover pantry, try organizing them according to categories – like sauces, dairy, vegetables, fruits, etc. This not only helps you reach things easily but gives a certain amount of happiness to the perfectionist in you. This applies to all the rooms in the house. Once the winter is done, declutter your rooms, take away everything that you don’t need and throw it in the trash or donate the stuff away. Now organize everything by storing them into different boxes, and label them according to the groups. This should be able to help you reach things during a future need, without much hassle. However, this task occupies a significant amount of your time, given there are multiple tasks and more than one room in the house. So make sure you have a good two weeks or more in your hand to work on it and get all the stuff in place. Winter is ruled by dark shades, be it in clothing or bedding. Because you know, dark colors keep you warm. So, once the season is done, it’s time to store all those dark sheets, thick duvets, blankets, and pillowcases. Welcome the new season with new, and lighter shades of bedding. You can even use pillows with light colors and floral prints, instead of wool or other thick fabrics. Try and make the spring-summer and fall-winter look of bedrooms thematic for your satisfaction. Also, keep a thick blanket handy by the bed in case one of the nights get chilly (you never know!). This is one of the most important things you should do at the end of every season, let alone Winter. However, winter-spring closet cleaning holds more significance because of the radical shift in the wardrobe. With Winter gone, it’s time to lose all the dark shades of clothing, the sweaters, mufflers, jackets, and mittens. Instead, it’s time to bring in lighter shades, floral prints, tee shirts, shorts and other light-fabric dresses. Also, it’s time to give away the stuff you don’t need. Just don’t hoard the things you’re never going to wear and know that they’re of no use. This might not come across as the first thing you would want to do while making your home spring-ready. But trust me, your furniture and bedding get a completely different look if you do one small thing – change the pillows! Most households go with velvet, tweed or silk pillows as they look good throughout the year. But let’s be honest, are they perfect for the spring summer months? No! So, it would be great if you could give your pillow casing a makeover too, like what you do to your wardrobe – using breezy fabrics and little prints on cotton. This brings in a lot of change. A lot of people opt for various types of fresh flowers and ornamental leaves when it comes to decorating the living rooms. Why don’t you give it a refreshing twist by throwing traditional flower arrangement for a toss and use foliage instead? You could use leaves of banana, palm, and philodendron to make a statement look. Just put these up in huge decorative vases with some water, and you’re done! A beautiful and quirky look to your living room welcomes everybody. Also, if you take care of these properly by changing the water regularly and trimming the stems below, then they can stay fresh for really long. I know it might sound confusing to you, but what I meant is that it’s time to go shopping for some color. Spring, as we know, is the season of vibrant hues, and getting some of it into your house is never a mistake. Just hit the home décor story near your house and get some cheap vases and other decorative items in bold accents. I bet they will bring in the brightness of your living room. It’s not unfamiliar that Spring is a season associated with the aroma of nature – be it blooming flowers, buds, or leaves. Let your home too, reflect the same zest during the season. Just get some citrus, rose, lavender or any other floral scented candles or potpourri to ensure that your place always welcomes others with warm, breezy aromas of the spring. There is nothing that gives a better look to a place than a new paint or wallpaper. In case you have some budget for the makeover and want to give a new look to your house, at least the living room, try getting a lighter shade of paint or wallpapers with patterns that are easy on the eye. If you cannot afford the whole house or a room, you can just stick to a particular place, like one side of the wall, the back of your bookshelf, or maybe even the ceiling of the room. What do you think ? We would love to hear how you prepare for spring !